The occasion conjures up, in terms of historical pressings, the initial stages of Ostpolitik, when East and West Germany began a warming process that eventually culminated in re-unification, even if the last stages were induced by the shock of the Iron Curtain’s retreat. It was impossible to expect certain big mouths to stay silent. All charming, given the berating the man in the White House was giving Beijing’s leadership over previous mouths for not doing enough. 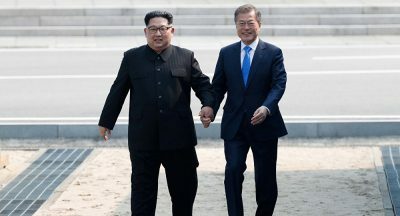 “The inter-Korean summit was a show of fake peace,” he fumed on Facebook.